After building the 2 Solar Impulse electric airplanes and flying around the world, covering 42’000 km, Solar Impulse’s Co-Founder André Borschberg together with several former colleagues, is now bringing electric propulsion to the world of aviation to make air transport cleaner, quieter, safer and more affordable. H55 has just completed its first VC financing round with NanoDimension, a Silicon Valley and Swiss based Venture Capital firm, to further develop the potential of electric propulsion for existing airplane designs and new aviation solutions such as flying cars, drones and VTOLs. 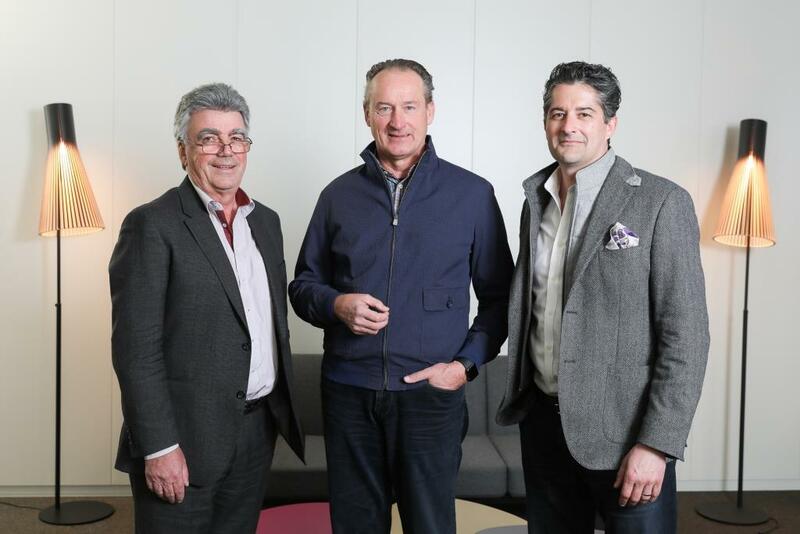 H55, a technological legacy from Solar Impulse has been founded by André Borschberg, Executive Chairman, Sébastien Demont, CTO and Gregory Blatt, Head of Business Development. Electric propulsion will revolutionize aviation as it addresses all the challenges and criticisms of traditional combustion aircrafts: noise, pollution, high operating and maintenance costs, risks and safety. It will also allow the development of completely new aircraft designs. Electric motors react immediately when provided with electric current. They can be used to control the stability of the airplane as well as for its propulsion. Commenting on the NanoDimension investment and the prospects of electric propulsion, André Borschberg believes “electric air transport will drastically improve the way we live and move. New concepts which are only possible with electric propulsion, will soon allow for aircraft to take-off and land vertically and quietly. Imagine boarding an electric airplane on top of a building which can bring you to the other side of the city in less than 10 minutes, with no impact on the environment, at the KM cost of a car? As a venture capital firm with a strong record in investing in disruptive technologies, NanoDimension is an ideal partner for H55. Both the company and its founder have received numerous awards in the fields of innovation, entrepreneurship, science and technology. André Borschberg sees NanoDimension’s investment “as our window to the Silicon Valley and as an accelerator to H55’s strategy in being a key player in changing the way people will travel in the future”. Patrick Aebischer, who joined NanoDimension in 2017, sees H55 as an important part of the highly specialized Swiss technology hub, which he was instrumental in creating and growing as President of the Swiss Federal Institute of Technology in Lausanne (EPFL). “What enables innovation is not just new technological solutions, but also the right pioneering mind-set. EPFL was part of the genesis of the Solar Impulse story, the place where the team initiated the first feasibility study. In 2003 Solar Impulse was told that building an airplane with the wingspan of a jumbo jet having the weight of a car was impossible. A few years later the first electric airplane was flying day and night on solar energy. Unquestionably, the H55 team has the right DNA to bring aviation into a new era”. Through the support and contribution of the Swiss Federal Office Civil Aviation and the Ark Foundation of the Canton of Valais, H55 has already developed its first-generation electric propulsion management system. With an experimentally certified electric acrobatic demonstrator aircraft aEro1, has successfully flown more than 50 hours with a battery endurance exceeding more than 1 hour. H55 is now working on electrifying its second aircraft, aiming to fly 2 hours only on batteries which will begin flight tests in the summer of 2018. H55 focuses on the entire propulsion chain starting from the energy source and its management, right through thrust and power, as well as all control systems. H55 provides turnkey software and hardware solutions integrating and optimising the propeller, transmission systems, electric motors and controllers, energy storage, and pilot interface. H55 electric propulsion systems are redundant ensuring the highest levels of safety and security. H55 has developed an adaptable power management computer connecting all power peripherals: pilot controls including redundancy systems and multi battery / engine capabilities; cockpit display to provide all information to the pilot regarding batteries, power management and propulsion status; Can BUS technology with improved reliability to meet aviation requirements and standards; DC/DC converters generating avionic power from high voltage battery power; and, in-flight continuous supervision from the ground of all systems for higher safety. NanoDimension – ND – is an early-stage venture capital firm investing in disruptive products/services based on new molecules, new devices, new materials and new methods from the life sciences and physical sciences. We believe that some of the biggest breakthroughs are and will be at the convergence of scientific disciplines. We are a team of passionate technologists and entrepreneurs at heart. ND has recently launched its third fund and opened an office at EPFL Innovation Park in Lausanne. Combined with our Silicon Valley office and extensive network in Boston, our team can leverage its locations to bridge USA and Europe / Switzerland. For more information including job opportunities, please refer to www.nanodimension.com. In July 2016, Swiss pioneers André Borschberg and Bertrand Piccard accomplished the first solar flight around the world, a historical milestone for electric aviation propulsion. More than 23 days of flight, 43’041 km travelled without a single drop of fuel, in a 17-leg journey in the Si2 airplane, proved that clean technologies can achieve impossible goals. Recipient of many aviation and technology awards including more than 12 FAI records, André Borschberg holds the record for the longest flight of a single Pilot in aviation history —- 5 days, 5 days over the Pacific Ocean. Si2 and its prototype predecessor Si1, have virtually an unlimited endurance, receiving its energy from the sun daily while using efficient electric propulsion: theoretically Si2 could fly for-ever and is only limited by the pilot’s sustainability. Together, both airplanes have accumulated more than 1200 hours of electric flight. Extensive system safety analysis and certification procedures, enables Si2 to fly over densely populated airports and land at major international airports. Si2 is a single-seater carbon fiber aircraft with a 72m wingspan, (larger than a Boeing 747), weighing 2300kg (the equivalent of an empty family car). The 17,248 solar cells built into the wing, power four 38.5kWh batteries that in turn drive four highly efficient (97%) 13.5kW / 17.5hp electric engines and the propellers with renewable energy. Si2 is a genuine flying laboratory in electric propulsion opening up the envelop for clean aviation. http://aroundtheworld.solarimpulse.com/.